Makeover Monday: What is the UK's Favorite Chocolate Bar? This coming Sunday is Easter so I thought we'd look at the UK's favorite chocolate. 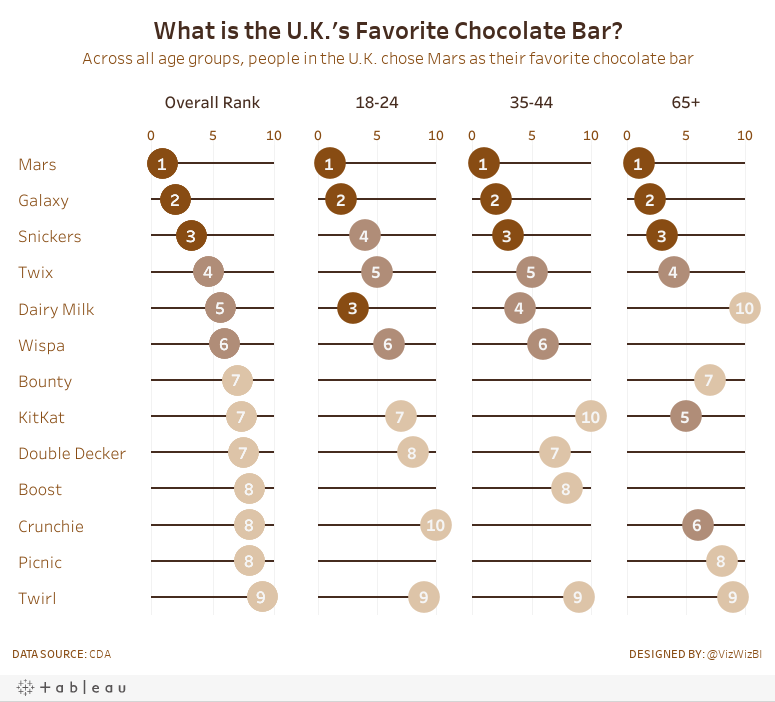 As someone new to the UK, the Brits can be quite snobby about chocolate, particularly despising American chocolate. I mean, how can someone NOT love Reese's? The chart we're making over this week is from CDA. The bump chart is a very nice visual display for ranked data. Including the rank as a number at each point. The lines are easy to follow. Labeling both the left and right side so that you don't have to trace the line back to the start when you get to the end. Using a different mark type when the chocolate is not ranked. This is a LOT of colors and some of them are very close to each other. Why are there age bands missing? 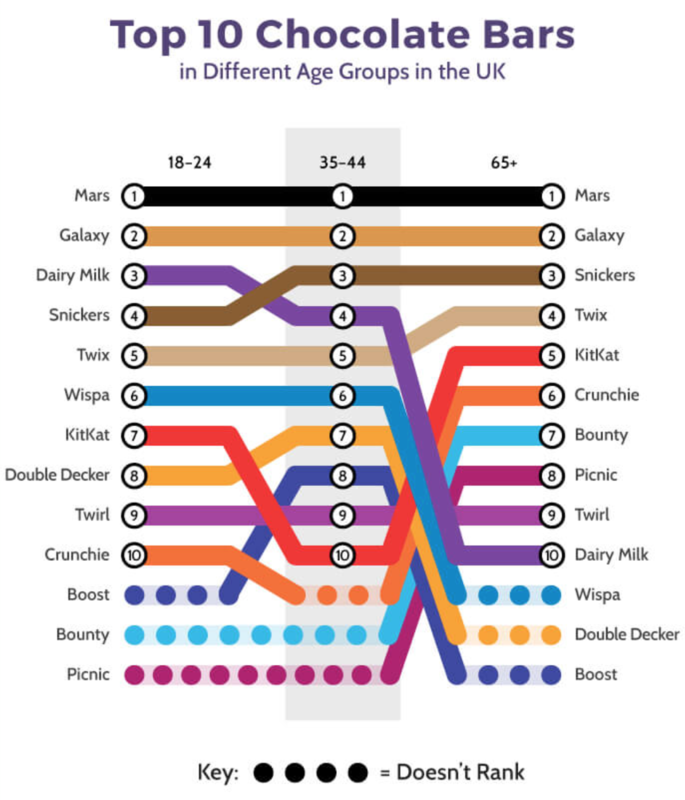 Split each of the age groups out rather than connecting them and then include a total, which is the average across the age groups. I'm making the assumption here that the same number of people were surveyed in each age group.